From April through to the middle of May the fjords of Western Greenland offer some of the world’s best heli-skiing with deep powder and corn snow running down to the water’s edge. Jan Verkerk, owner of 70 metre expedition yacht Sherakhan, reveals an icy trip to satisfy heli-skiing addicts and Arctic nature lovers. Sherakhan is available for charter with Y.CO. Day 1: Kangerlussuaq Fly into the small town of Kangerlussuaq and meet Sherakhan, where her expert guides will talk you through your plans for the week. Sail out of the spectacular Kangerlussuaq Fjord, which snakes down to the sea with glaciers forming both sides, and settle in on board. Overnight Sherakhan will cruise to Eternity Fjord, a deep canyon running through uninhabited mountains, reaching her anchorage in the early morning. From April through to the middle of May the fjords of Western Greenland offer some of the world’s best heli-skiing with deep powder and corn snow running down to the water’s edge. Jan Verkerk, owner of 70 metre expedition yacht Sherakhan, reveals an icy trip to satisfy heli-skiing addicts and Arctic nature lovers. Sherakhan is available for charter with Y.CO. 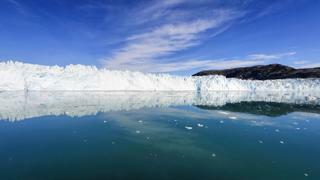 Kangerlussuaq Fjord, which snakes down to the sea with glaciers forming both sides, and settle in on board. Overnight Sherakhan will cruise to Eternity Fjord, a deep canyon running through uninhabited mountains, reaching her anchorage in the early morning. An expert local company will ensure you experience an adrenaline-fuelled day heli- skiing the hundreds of glacial runs that drop into three different fjords directly behind the island of Kangaamiut. Enjoy thrilling descents of nearly 2,000m with many terminating directly at the sea edge. 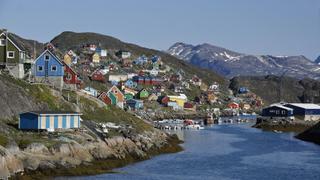 Cruise overnight to the city of Sisimiut, known for its colourful architecture, and celebrate crossing the Arctic Circle with a “polar baptism”, a quick plunge into the icy waters. Avid skiers may head back towards Kangaamiut for more heli-skiing, while others can opt for a snowmobiling experience following the old sled route along the Arctic Circle. Afterwards, enjoy your first sight of Greenlandic sled dogs, which can be spotted throughout the town. 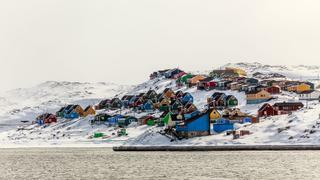 Overnight Sherakhan will reposition to the charming town of Aasiaat, famous for its brightly coloured houses and whale populations. Take a kayak and explore the rocky skerries near the town, which act as a playground for these majestic creatures. Bowhead whales can be seen all the way through the winter while in the summer months humpback, minke and fin whales can all be spotted. 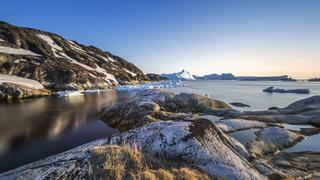 Cruise overnight to Qeqertarsuaq on Disko Island and try dog sledding on the Lyngmark glacier above the city. Depending on the weather you can either hike to the top of the glacier, which takes approximately three hours, or take snowmobiles. In the early evening, Sherakhan will make her way through icebergs towards her overnight anchorage at the former coal mining town of Saqqaq. 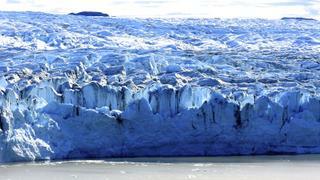 If weather permits cruise to the active Eqi glacier, where chunks of ice break off at regular intervals. The hike to the edge of the moraine takes about four hours and affords breathtaking views across the glacier. Afterwards enjoy dinner in Sherakhan’s stylish dining saloon, which features a seven metre atrium. 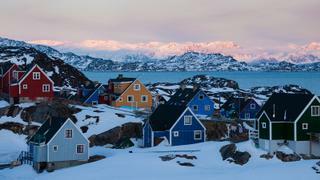 For your final day Sherakhan will be based in the town of Ilulissat, which is famous for its icebergs and home to more than 3,000 sled dogs which are used to transport Greenland halibut from the icefjord to Ilulissat. End your trip in spectacular style by helicoptering in for a picnic lunch on the Jakobshavn glacier – which is 6km wide and moves around 40 metres per day. 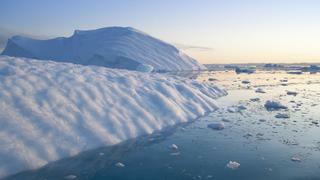 Enjoy a final night on board before departing by private plane from Ilulissat Airport.